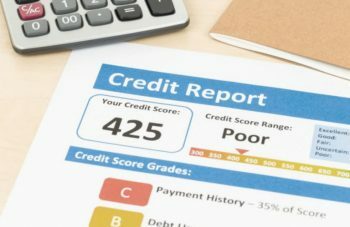 We speak to a lot of people who are ashamed or embarrassed about their adverse credit aka bad credit and how it might affect a bad credit mortgage application. The aim of this post is to show you that you are not alone and to not be afraid or too embarrassed to call us to discuss your bad credit mortgage situation in detail with a professional who understands adverse credit. At Mortgage Success, adverse is what we do and we feel with bad credit day in day out and as our name implies, we are successful in getting mortgages for bad credit. 571,555 County Court Judgements (CCJs) were registered in the first 6 months of 2018. In quarter 3 of 2018, the average CCJ was £1,337. There were over 275,000 CCJs issued in the third quarter of 2018. A CCJ will show on your credit report for 6 years from registration regardless of whether it is satisfied or not. However it will show as Satisfied where it has been. Do you think you are alone? We regularly see people with 1-5 CCJs. These can vary from a couple of hundred pounds up to tens of thousands of pounds. Even so we can still place a bad credit mortgage with CCJ’s. We have access to Mortgage lenders who do not worry about how many CCJs you have. There are also Mortgage lenders who do not worry about how much the CCJs were for. Whilst researching this article, I struggled to get facts and figures about Defaults from any official online sources. The below is based on our findings over the last few years. Defaults affect everyone, we have professionals who have been to university who have defaults through to people on 0 hour contracts or on minimum wage. The reasons for defaults can vary from “youth” (ie not knowing what effect not paying would have), circumstances (eg, health, relationship breakdowns, loss of job), or even out of principle. Around half of our customers have more than 1 default. The most common defaults tend to be for mobile phones or credit cards. But we have also seen them on mortgages and secured loans. There are mortgage lenders who ignore them if they are over a certain age or under a certain value. Insolvency comes in various forms, the main types are Bankruptcy, IVAs and DROs. Just over 16% were Personal Bankruptcies. We have access to Mortgage lenders with products who can consider IVAs, DROs and Bankruptcies as soon as you have been discharged. Hopefully the points above have helped to show that you are not alone in the adverse you have. Over 1 million people received a CCJ in 2018 and over 100,000 people went insolvent in one form or another. That is a big market and Mortgage lenders have realised they are missing out on large amounts of credit worthy customers by having a blanket approach of not accepting adverse. We do adverse mortgages on a daily basis, that is the market we predominantly cater for and that is the market we know and understand. Many people think having bad credit automatically means high rates, that is not the case. The majority of our cases last year went to lenders on the high street. Many did go with specialist lenders, but with rates from below 2.5%, it does not necessarily mean the you will be paying through the nose. Get in touch with us. Lets have a chat and see what can be done in getting you a bad credit mortgage. Next Post:How can we help First Time Buyers?